CRAFTSMAN - 1938. THE MODEL CRAFTSMAN - MARCH 1936. THE MODEL CRAFTSMAN - DECEMBER 1942. The digital images we display have the most accurate color possible. However, due to differences in electronic displays, we cannot be responsible for variations in color between the actual product and your display. Marklin Ho 7588 wheel sets for Hamo nice! Each set is in Excellent condition. 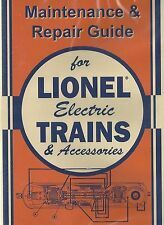 GREAT RESOURCE FOR INFORMATION, PROTOTYPE HISTORY, PLANS OF LOCOMOTIVES AND CARS, STRUCTURES AND MODELING INFORMATION AND TECHNIQUES. 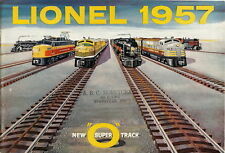 O SCALE, On3 AND On30, HO AND HOn3 SCALE, Sn3 SCALE, AND MORE. NARROW GAUGE AND SHORT LINE GAZETTE MAGAZINE. HO scale Dearborn Station scenes. December 1994. Magazine is in good condition. One "Walthers, March 2007". One "Walthers, July 2007". One "Walthers, October 2007". One "Walthers, June 2007". In very good condition. 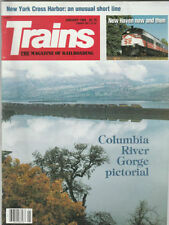 This is a special reprint of articles from the June & July 1957 issues of TRAINS. Marklin 1964/65 English Catalog with Prices. For sale here is a Marklin 1964/65 HO English Catalog. this catalog is near mint condition and great for research! 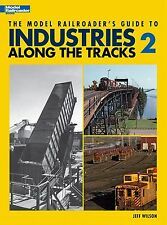 Realistic operation for all scales How to Operate Your Model Railroad Author: Bruce A. Chubb ISBN: 0890245282 Condition: Pre-Owned Good Condition. May show signs of wear and handling. Came from an estate. Sold as is. Low starting price. THIS WILL NOT WORK WITH PHONE APP ONLY ON COMPUTER. PHONE APP DOES NOT HAVE THE OPTION. THIS WILL NOT WORK WITH PHONE APP ONLY ON COMPUTER. PHONE APP DOES NOT HAVE THE OPTION. Low starting price. Eckert Engineering was created with Märklin, Signals, and Digital Power Supplies. Just know that if you are NOT happy with any aspect of what you bought from Eckert Engineering, just let us know. We have many Marklin Trains and parts for sale, but we only have one reputation, and it is GOOD. Sunset Models First Catalog. Catalog pictures Sunset's models, custom painted and in their natural habitat. Catalog is in good condition. All pages are intact. 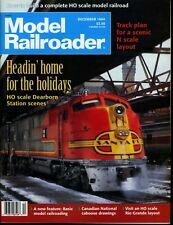 Mainline Modeler Magazine Lot. 1981 - Jan-April & Nov/Dec. The Milwaukee Electric's by Noel T Holley ISBN 0934088144 If you buy more than one item please proceed to checkout pay the shipping and I will reimburse you the exes that you have paid USED NO WARRANTY PLEASE LOOK AT ALL pictures WHAT YOU SEE IS WHAT YOU GET, PLEASE ASK QUESTIONS BEFORE YOU BID. NO RETURNS OR REFUNDS. THANKS AND HAPPY BIDDING. ..
Year: 1968. Number of issues: 10 - missing January and August issues to be a complete year. LGB kollector. Columbus discovers LGB. LGB family album. LGB Technik: stronger than dirt. LGB personality. Paper back book. Roots and Branches: The Lehmann Family Tree. Table of Contents. SUBWAY TO THE 1939 WORLD'S FAIR. Regardless of which state the winner is located in. COPY RIGHT, 1950, 1951. 3rd PRINTING ENLARGED ADDITION. BOOK IS SOUND. FIRST PAGE IS LOOSE AND THIS THE ONLY LOOSE PAGE. A Northwest Rail Pictorial photographs from collection Warren Wing Softback Book In excellent condition. Binding tight, appears to have never been opened. No marks, scratches, etc. 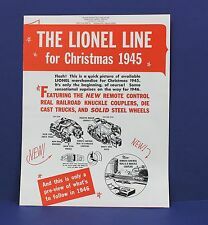 56 pages, including 11 of slot cars! If there is a problem, we will take care of it! A like new copy of the Greenberg prewar Standard and 2 7/8" guide. Great reference and pictures. I will describe to the best of my ability each item with honesty.